[Satnews] According to the Moscow Times, Russia's space agency Roscosmos has found a buyer for a troubled commercial space project known as Sea Launch, the agency's director Igor Komarov was cited by the TASS news agency as saying on Wednesday. Sea Launch was founded in 1995 as a joint-venture between Russia's largest space company Energia, U.S. aerospace giant Boeing, with participation of firms in Norway and Ukraine. The concept is simple: a floating launch platform that sails to the Earth's equator to reduce launch costs. However, despite the commercial promise, Sea Launch has struggled to take flight. The company filed bankruptcy in 2009 and has undergone several periods of inactivity due to technical failures. The company emerged from bankruptcy a year later with Energia taking control of 85 percent of the company. Unfortunately, the problems continued—in 2014, the company faced procurement difficulties as relations between Russia and Ukraine collapsed in the wake of Moscow's annexation of Crimea. 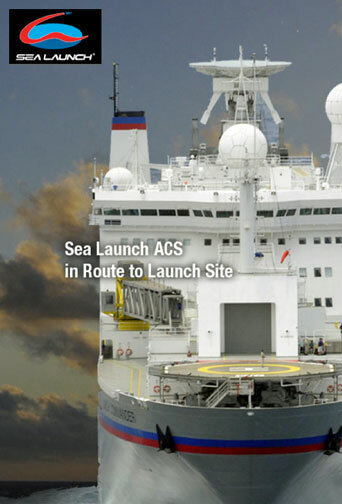 Sea Launch is designed to work with Zenit rockets—built in Ukraine, but some 70 percent of the components are Russian. Roscosmos has, at various times, indicated a refit of the platform to support the lightest version of its new Angara rocket migh occur, but a change in ownership of the project may put those plans on an indefinite hold.